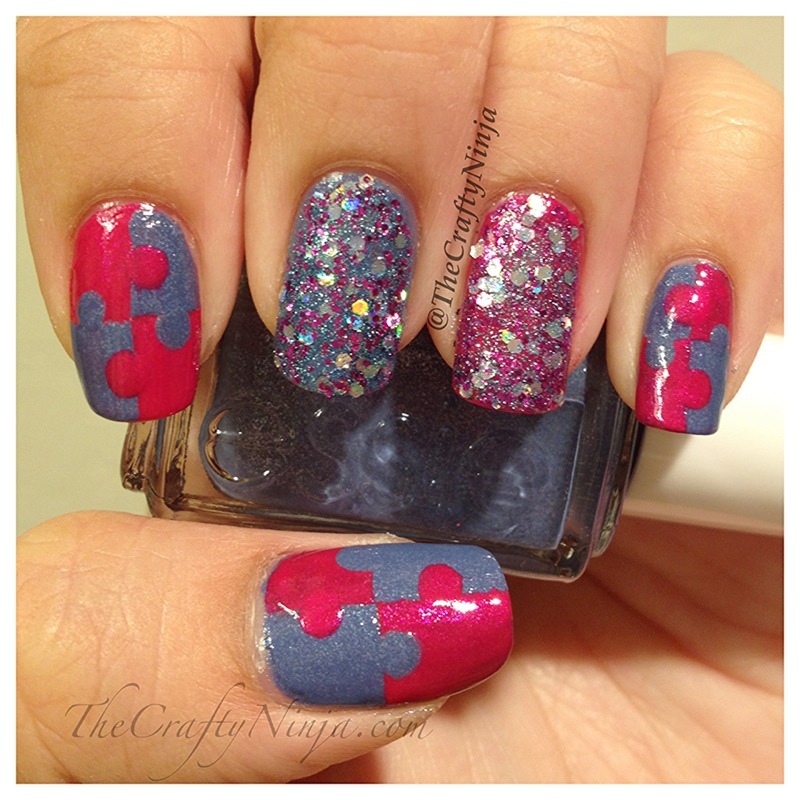 Today’s nail tutorial is creating simple puzzle nails. 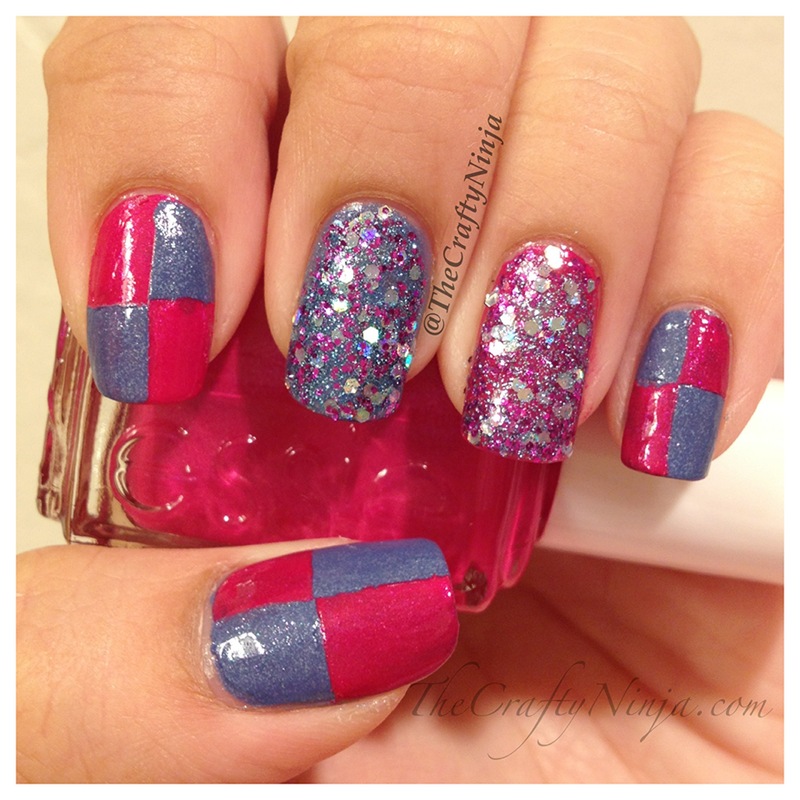 This is such a cute and fun design you can use any color combinations on your nails. I have both pictorial as well as a YouTube tutorial. First I painted every other finger with Essie- Smooth Sailing and Essie- Super Bosa Nova, both has micro glitters that gives it a beautiful shimmer. Then Funky Fingers- Mermaids Lagoon, such a pretty glitter polish with specs of silver, magenta, and blue glitters. 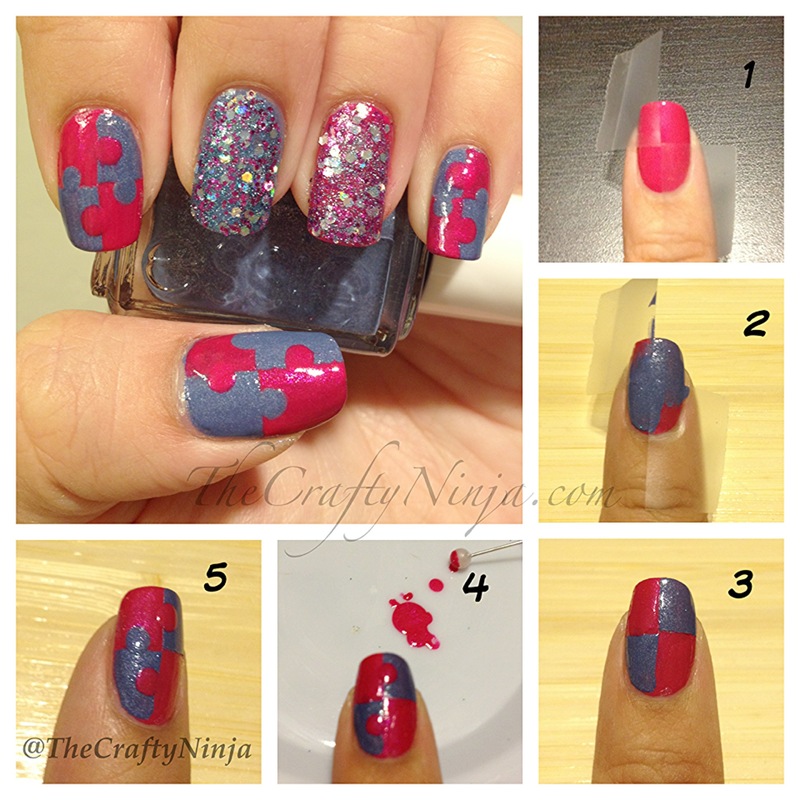 Next I created a checkered pattern using scotch tape, make sure your nails are completely dry or it will not work. Supplies needed: Two Nail Polish Colors, Pearl Pin Cushion or nail dotting tool, Scotch Tape, and Top Coat.